Today, we pick up you from your place of stay. 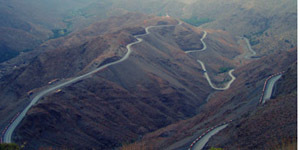 You will be driven across the TiziN’Tichka Pass (2260 m), you will have opportunities to take photos and enjoy the scenes of High Atlas Mountains along with Berber villages on the way. 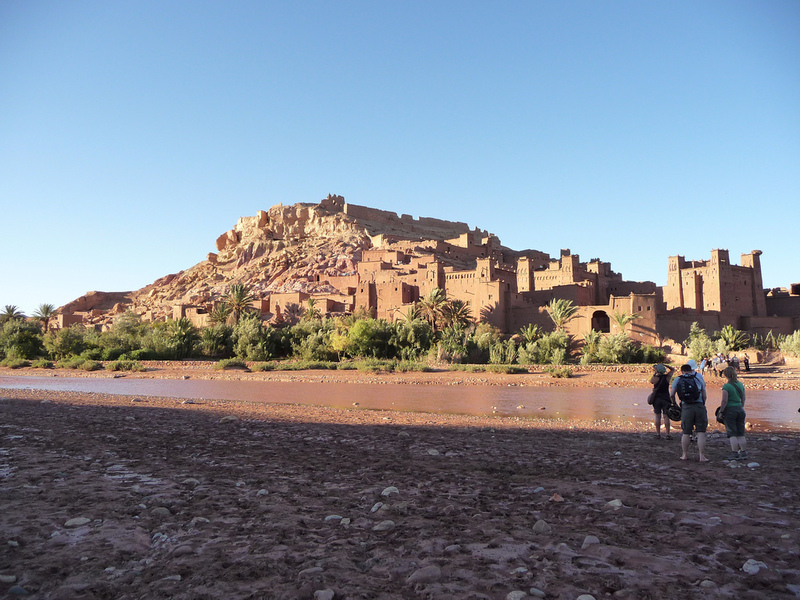 Our next stop is in the village of Aït Benhaddou,having Lunch break then exploring the exotic Kasbah of Aït Benhaddou. 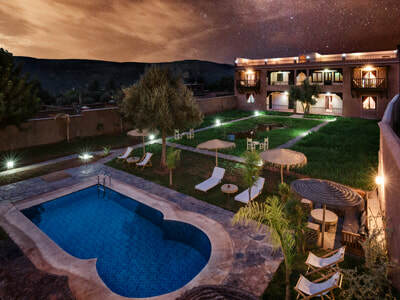 From here we head to Ouarzazate where you may have a stop to view the Kasbah of Taourirt that was built by the Glaoui dynasty then to Skoura where you will be mesmerized with the palm grove along the way. Continuing on towards Boumalne du Dadès or El Kelaa M'gouna (Valley of the Roses), and the Dadès Valley (Valley of One Thousand Kasbahs). Dinner and overnight in a hotel. 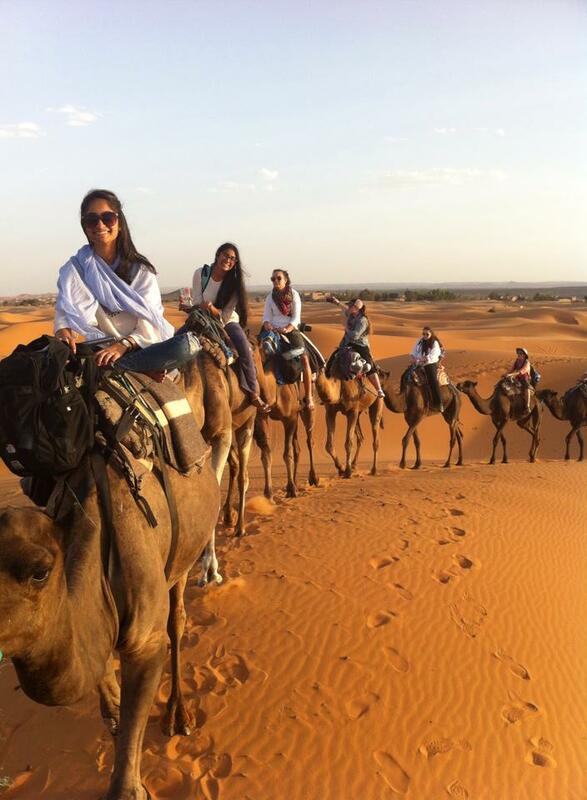 Day 2: Tour Around Erg Chebbi dunes. 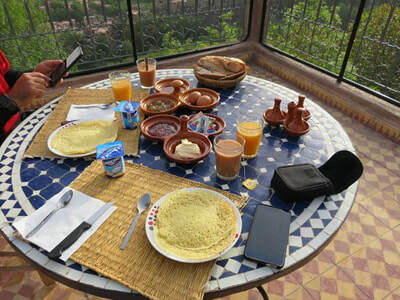 Waking up by the call of your guide very earlier to watch the sunrise then enjoying breakfast. 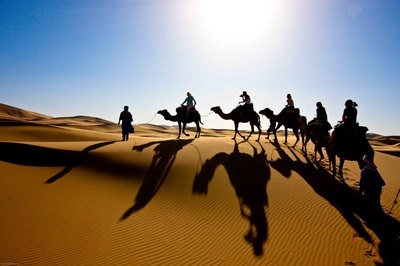 Begin the drive to explore to the tiny villages around Erg Chebbi dunes such as Hassi Labied, Merzouga and Khamlia. In Hassi Labied you will have a stop at the garden where you will view canal irrigation system. From here we continue the trail toward Merzouga. Near Merzouga, you will have the chance to see Dayet Srji Lake that forms in spring time which attracts locks of pink flamingos and wildlife; Bird-watchers will enjoy this peaceful area. On our way to Kamlia we expect to meet locals showing their desert foxes. You may also encounter desert reptiles and mammals . In Khamlia, known as the village of black people who were slaves coming from Sudan. 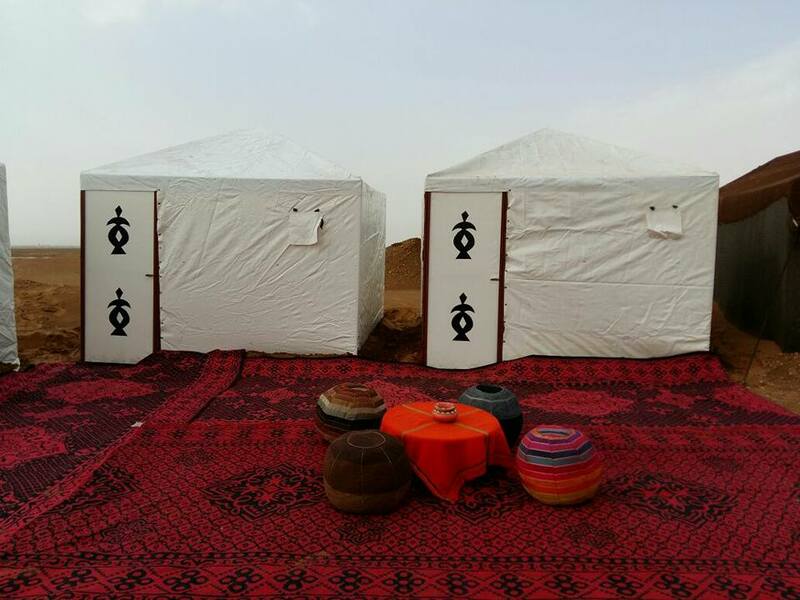 You will be hospitably welcomed with a cup of tea (Whiskey Berber) while enjoying their spiritual Gnawa music. 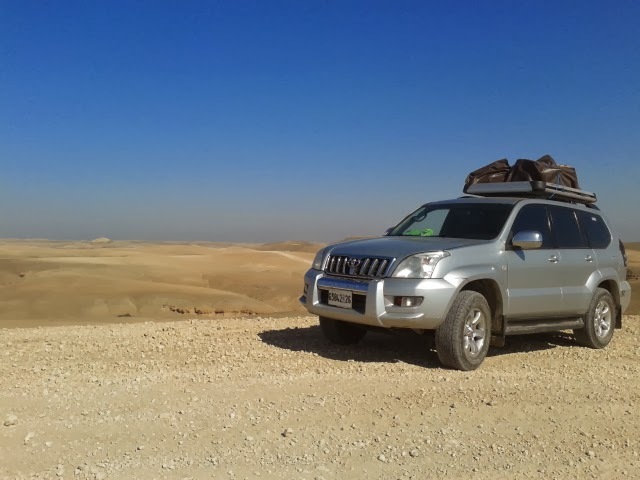 Leaving Khamlia our next stop is on the panoramic view of golden dunes near the Algerian border. 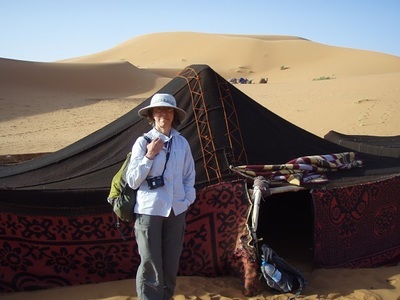 We may stop for Picnic lunch under the shadow of a tree before continuing to visit a Nomad family, who are living under Berber tent and who are taking care for herd of cattle, goats and camels. You will be introduced to family members and getting to know about their way of life while enjoying the taste of a nice cup of tea. After these you will have the chance to visit the sites of black volcanic rocks. Continuing on, you’ll reach the panorama near Yasmina Auberge where you will be amazed with the scene of the dunes in addition to the nearby lake (springtime).Back to your hotel for lunch and relax. Overnight in a hotel with dinner and breakfast. 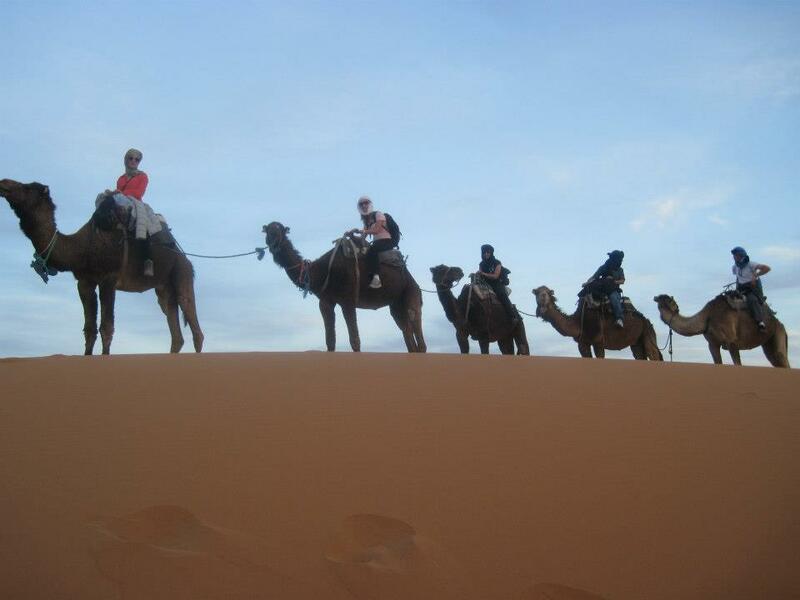 Day 4: Desert » Rissani » Alnif » Tazzarine » N’kob » Agdz » Ouarzazate. 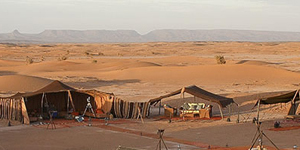 After breakfast in the hotel you will get ready leave the amazing dunes of Erg Chebbi. We will travel to Ouarzazate via Rissani ,Alnif,Tazarine, N’kob and Agdz. Stopping for lunch along the way. 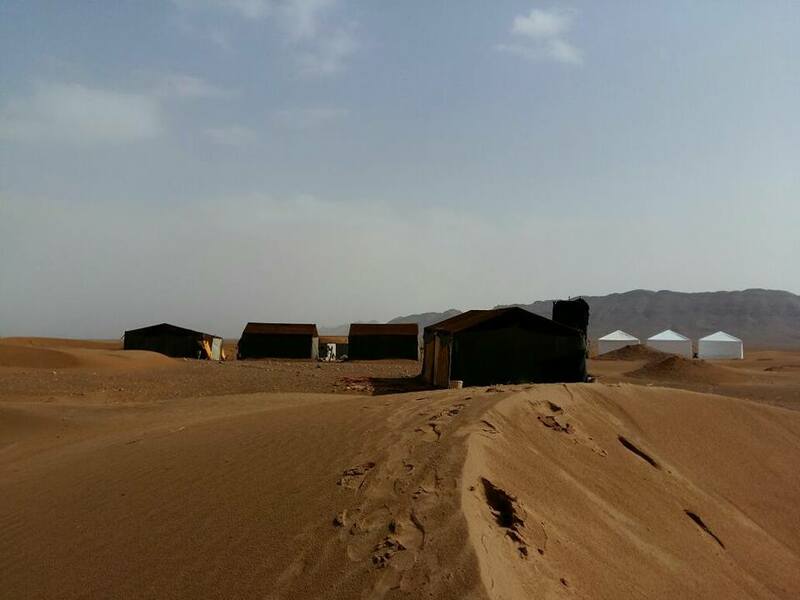 You will enjoy the views of Acacia trees, the valley of daraa and rock formations of ait saoun mountain before we reach ouarzazate. 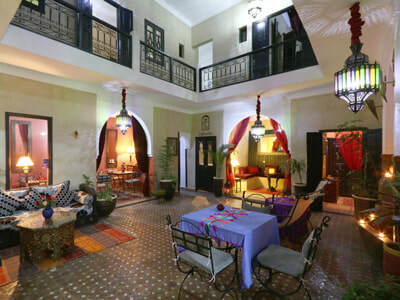 Overnight in a riad in Ouarzazate. This morning after breakfast you may visit the Atlas films Studios before we head to the village of Aït Benhaddou, a UNESCO World Heritage Site where you will visit the exotic Kasbah named after it. 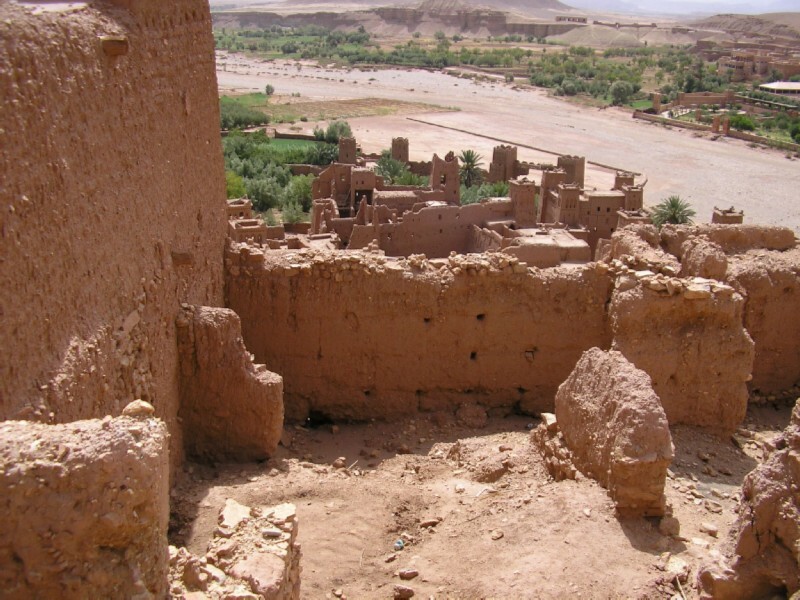 This Kasbah is situated on a hill along the fertile Ounila River; it becomes famous due to its role in hosting numerous films such as: The Man Who Would Be King, Jewel of the Nile, Jesus of Nazareth, The Message, Lawrence of Arabia, The Mummy, and Gladiator. Later on, continuing our off roads drive to Telouet. 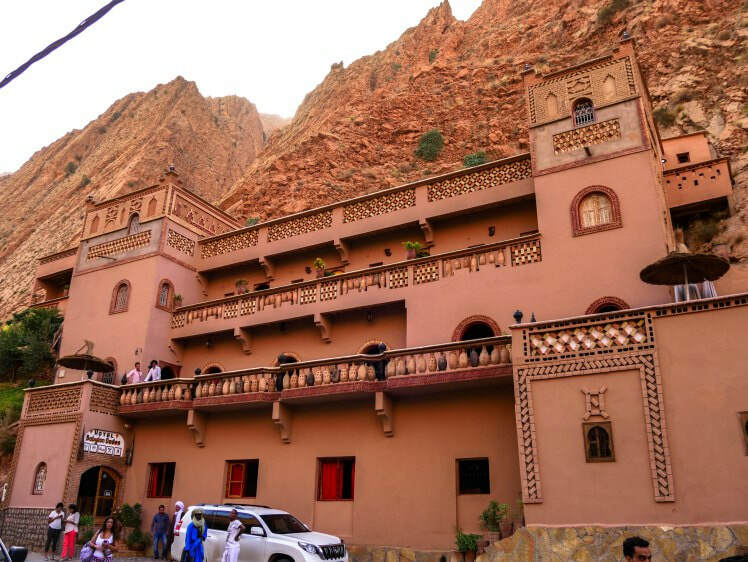 You will have a break for lunch then visit the incredible Kasbah of Telouet .Afterward we continue across the Tizi-n-Tichka Pass (2260m). Stopping along the way for photos and enjoying the panoramic views of High Atlas Mountains along with Berber villages located alongside the road. 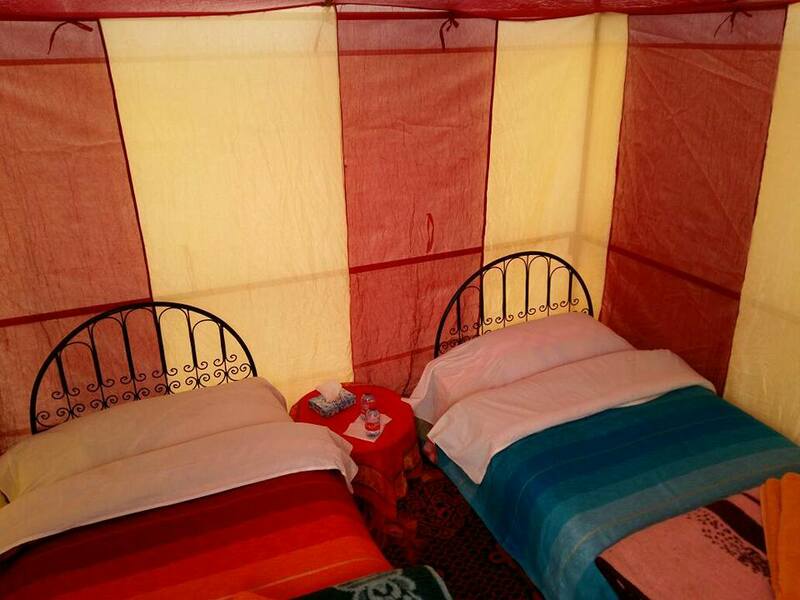 Arrive to Marrakech and drop off near your hotel.